Looking to get behind the wheel of a used luxury car? At Acura North Scottsdale, you can find a used BMW for sale in Phoenix, AZ! A used BMW offers the top-notch performance specs and luxurious design elements you’d expect from a luxury vehicle for a price that won’t break the bank. Ready to explore our used luxury cars? Visit us near Phoenix at your convenience. Even if you aren’t set on driving home a BMW, there are plenty of other pre-owned options like used Acura models and used Toyota options! Still curious as to how a used BMW can upgrade your Phoenix commute? Whatever model you choose, you’ll be able to take advantage of wonderful performance features and great interior comfort. 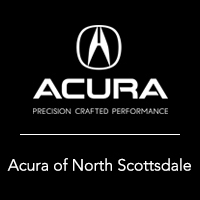 When you’re ready to test out a model in person, visit us at Acura North Scottsdale We look forward to helping you find your next used BMW.